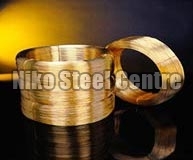 For the complete range ofÂ Non ferrous metal,Â we are one stop destination for you. Our Non Ferrous Scrap Metal comprises of high quality brass, aluminum, copper and monal and many more. Non Ferrous Scrap Metals are available in various shapes, sizes and specifications such as round, hexagonal, squares, rods, tubes, strips, foils, bus bars, plate, flats, wire, tubing, sections & bushes as well as Non Ferrous Sheet Metal. In addition to this we also deal in Non Ferrous Scrap Metal in the industry. 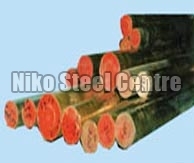 Besides, the company is counted among Non Ferrous Metal Exporters from India. Our Non Ferrous Sheet Metal is available at highly competitive prices. Aluminium : Aluminium, Aluminium Bronze, Manganeese Bronze. Forms : Round Hexagonals, Squares, Rods, Tubes, Sheets, Strips, Foils, Busbars, Plate, Flats, Wire, Tubings, Sections & Bushes. 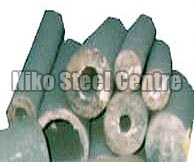 Nickel Base Alloys : We are importers, exporters, stockiest & suppliers of Nickle Base Alloys . Forms : Round Hexagonals, Squares, Rods, Tubes, Sheets, Strips, Foils, Busbars, Plate, Flats, Wire, Tubings, Sections & Bushes. Minal : We are importers, exporters, stockiest & suppliers of Monal. Forms : Round Hexagonals, Squares, Rods, Tubes, Sheets, Strips, Foils, Busbars, Plate, Flats, Wire, Tubings, Sections & Bushes. Copper : Electrolytic Copper, Electrolytic Tough Pitch Copper, Deoxidised Copper, General Purpose Commercial Copper.